Download Fallout Shelter V1.6.1 Apk + Data + MOD (Unlimited Caps, Energy, Food, Water) - Sebelumnya nyamukkurus sudah bagikan game Action yaitu "GUNSHIP BATTLE Helicopter 3D (MOD)", tapi kali ini nyamukkurus akan bagikan game Fallout Shelter ditambah dengan mod. Fallout Shelter adalah game Simulasi yang seru dan cukup populer di Android, pada game ini kita akan membuat vault di bawah tanah untuk bertahan hidup dari ancaman nuklir. Game Fallout Shelter dari developer Bethesda Softworks LLC yang bergenre Simulasi ini telah diunduh lebih dari 10 juta kali di Google Play Store dan juga mendapatkan rating 4,5. Sebenernya game Fallout Shelter ini bisa di mod juga pake "Xmodgames" tapi hp android kamu harus di root terlebih dahulu. Nah, kali ini NYAMUKKURUS akan bagikan game Fallout Shelter V1.6.1 Apk + Data + MOD (Unlimited Caps, Energy, Food, Water) no root. Vault-Tec has provided the tools, but the rest is up to you. What are you waiting for? Get started building your Vault today for FREE. For the one Year Anniversary Vault-Tec engineers have been working overtime to create our biggest update EVER. - Introducing Quests! 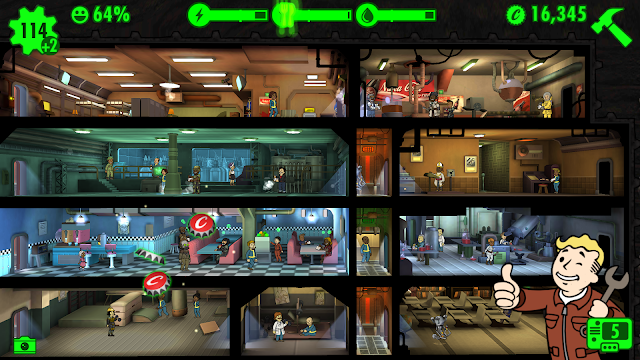 Now you can travel OUTSIDE the Vault with your Dwellers to explore new locations!. - New and Improved combat gives you more control over your Questing Dwellers. - Battle new enemies like Ghouls and Radscorpions and take on powerful boss enemies. - New items added to the store! 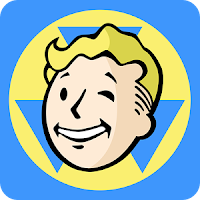 1 Response to "Download Fallout Shelter 1.6.1 Apk + Data (MOD)"